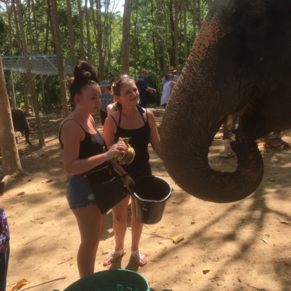 My family booked to go to the elephant sanctuary and it was a memory worth creating! It was incredible. The guide was very informative and funny. And at the elephant sanctuary we fed the elephants and photos were taken by the staff which I might at you did not have to pay for. All photos were put on their site and everyone was given the link to upload and print out. Then we bathed with the elephant in the mud and the washed them off. We were given free souvenirs and a beautiful meal. This was and incredible excursion and was worth every $. We did another tour through cruise excursions. The ship is tendered in so all the taxi drivers were waiting to harass us. We were so irritated that we got lost and couldn’t find the tour bus. It took a phone call to locate us!! Tour itself was great!! If only the taxi touts could be stopped. We went back to Phuket after and went to the Fantasia show. Superb!! 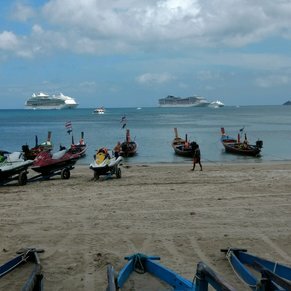 I absolutely loved Thailand. We walked out to the town. There’s a market with an ATM if you just walk right out of the tender area and straight ahead. We got local money there and walked to the right into town. There are some great little markets and a large on not too far away. There were also food stalls that we adored. (We always look to see where the locals eat and there was a consistent stream of taxi drivers visiting a number of spots!) We found a lady making soups and she was worried that we picked her spicy ones. We know only enough Thai to get food! All I can say is delicious!!! On our return to the ship area they had set up long rows of vendor stalls selling everything under the sun. They had also set up a local currency exchange, so we exchanged some cash and had a blast! We got clothes, hand stamped leather paintings, wooden elephant sculptures, we then found a super busy little food stall and requested my favorite noodle dish, pad kee mow. It wasn’t on the menu, but she was super pleased that I asked. She produced the ingredients and we selected for her to add her seafood to it. It was the most delicious I’ve ever eaten. Yes, on the side of the road! The price translated to less than $2.00usd!!! Did the James Bond Island tour. Was a long drive to the boat trip to the island and when on the boat we were told that the boat was too big to let us actually dock at the island. When we got there there were boats a little smaller that were able to land so was disappointed we weren’t able to. Then went to a fishing village on stilts which was interesting but felt like we were spying on people in their homes and bought souvenirs out of guilt. 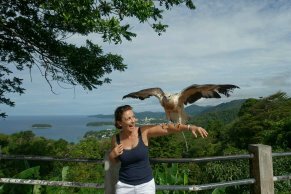 3 of 3 shore excursions in Phuket, Thailand. 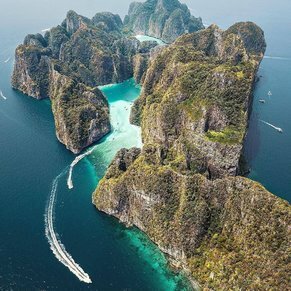 There are currently 2 discussions about Phuket, Thailand.